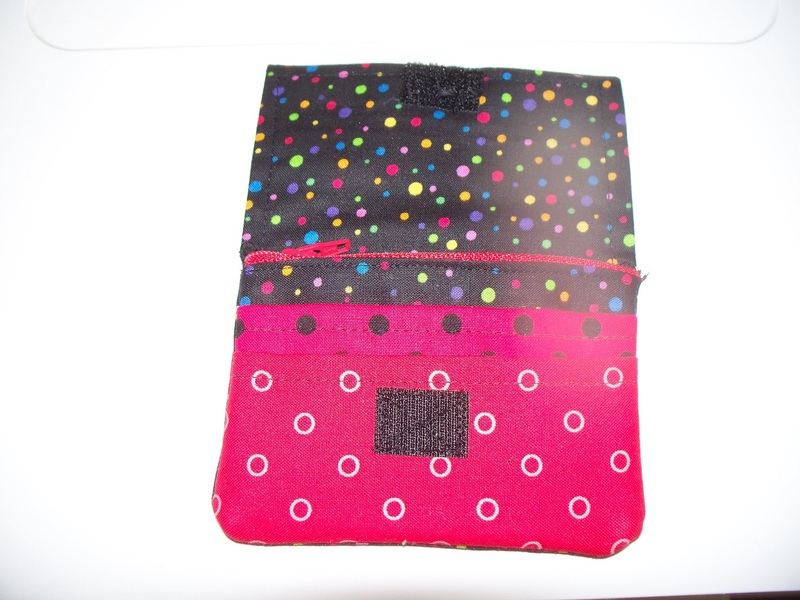 Has anyone ever put a zipper in a Wonder Wallet by Lazy Girl Designs? Just wondering if it is possible? Thanks. Why not contact the lazy girl site and ask if anyone has made it that way? I am sure they would be the ones who would have the most information since it is their pattern. I have, but no response yet. I thought I had seen on here somewhere, where someone had done it. Not sure though. Google "wonder wallet with zipper" -- the information is available. I added a zipper to a wonder wallet and rarely use the zippered pocket. I've put the zipper in, which wasn't hard at all, but not finished with wallet yet, so will see how it works. I may decide I just don't need that zipper either. Just wanted to experiment. Can you post a picture for us ? I think it went okay. Haven't decided if I want to do zippers again (although it was very easy). I'll use mine for a while and see if I like it. I thought I'd use the zipper more than I have used it. I did make the wallet 1/2 inch wider and it has been okay. The next time I'll made the wallet 1/4 inch wider. Shah, I like the colors of fabric you used. Does anyone have this pattern that'd they would be willing to sell? If so, please PM me. That's really cute. I want to make one. If you all don't use the zipper much maybe I'll skip it. The pattern I bought did not include the zipper. Don't remember who posted the instructions on the Internet. I included a zipper on the last Wonder Wallet I made. Since I don't use it very often, I will not include a zipper on any future Wonder Wallets. Interesting. I use my Wonder Wallets all the time for carrying cards and bills, but the little “change pocket” is a PITA so I never use it. A zipper pocket would keep my change better than loose in my pocket which is where it ends up now. Good idea! There is a cute pattern on Etsy for only 1.50- seller is going out of business, very well detailed pattern. CanoePam, I thought I'd use a change pocket if it had a zipper and that is why I installed a zipper. In reality, a change pocket with a zipper is not large enough for me. There are patterns with zippers for a change purse and that is what I'll make. My Wonder Wallet holds credit cards in the front section, medical cards, car registration and driver's license in the middle sections and paper currency in the section in front of the zippered unused change area. 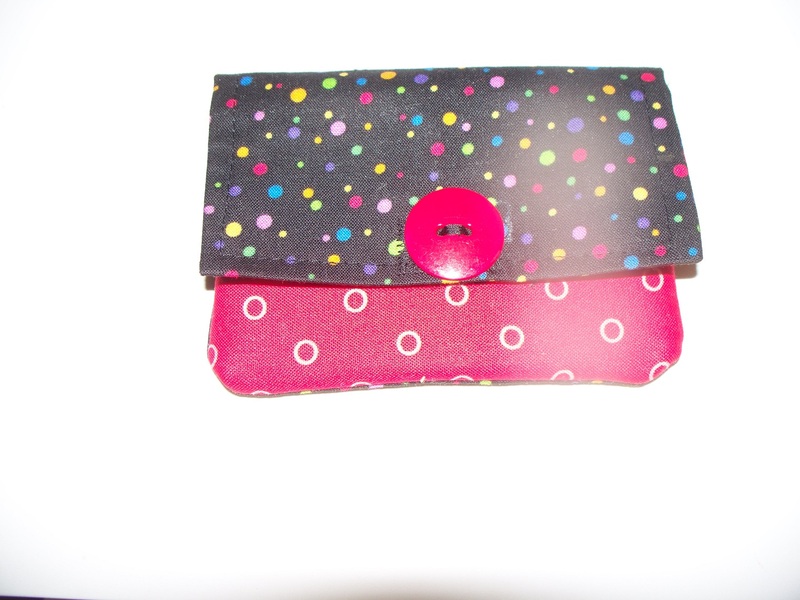 I have made other wallet and like them; however, I need a separate change purse because I keep too much change.